This tart is quick and easy to whip up, and looks oh so gourmet and impressive. 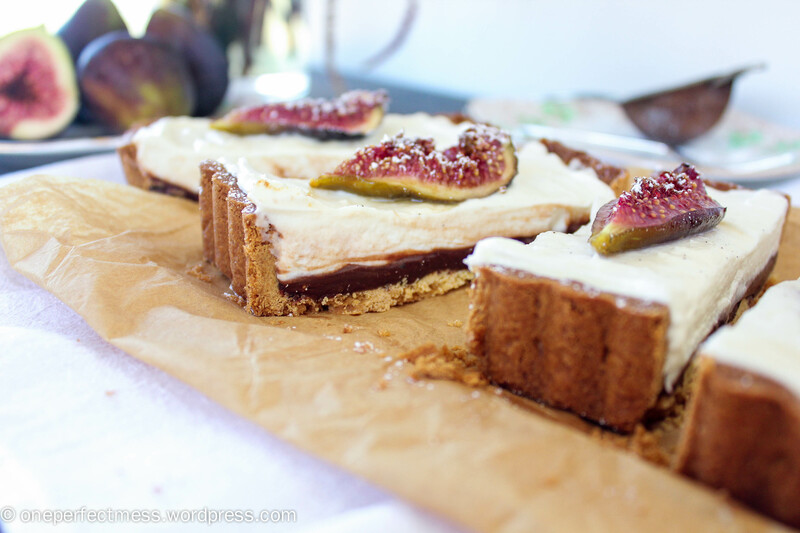 I decided to add a secret layer of dark chocolate ganache swirled with fig jam, buried beneath the whipped mascarpone cream and honey roasted figs. I hope you enjoy it. Preheat the oven to 170°C/340°F fan-forced, and bake the tart shell from frozen on a centred rack for 20 minutes. Remove the foil and weights and, if the base of the shell has puffed up, press it down gently with the back of a spoon. Bake for another 8 minutes until just golden brown. Remove the shell from the oven and leave to cool completely in the tin. 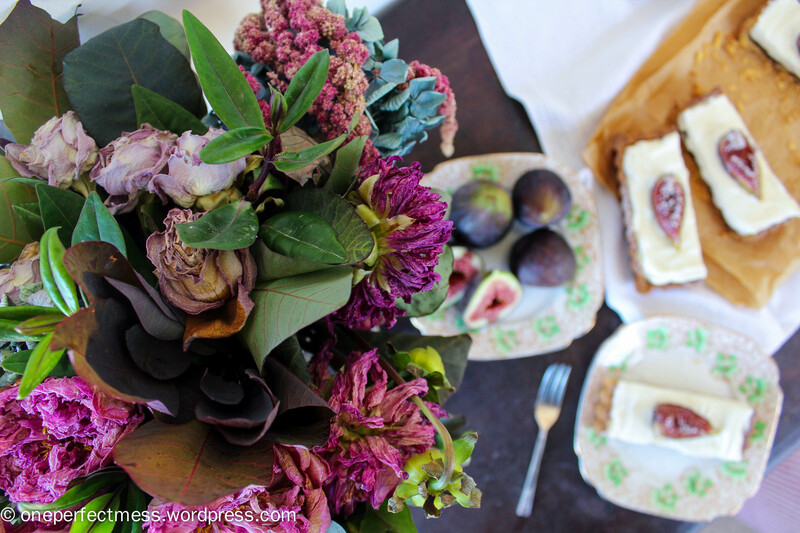 Leave the oven on for the figs! In a small saucepan over medium heat, bring the cream just to the boil, stirring constantly. Place the chocolate in a heatproof bowl, and pour the hot cream over the top. Cover with foil and leave for a few minutes. Remove the foil, and stir through the fig jam until the ganache is smooth and all of the chocolate has melted. Allow the ganache to cool slightly for a few minutes, before pouring it into the tart shell. Use a teaspoon to evenly spread it in a thin layer over the base. Refrigerate for at least 25 minutes, or until the ganache firm. Whisk the cream on medium speed for 5 minutes until stiff peaks form. In a separate bowl, whisk the mascarpone and honey on medium speed for 2 minutes until slightly thickened. Do not over-whisk the mascarpone, or it will separate. Use a rubber spatula to gently fold the cream through the mascarpone. Spoon the filling into the tart shell over the cooled ganache. 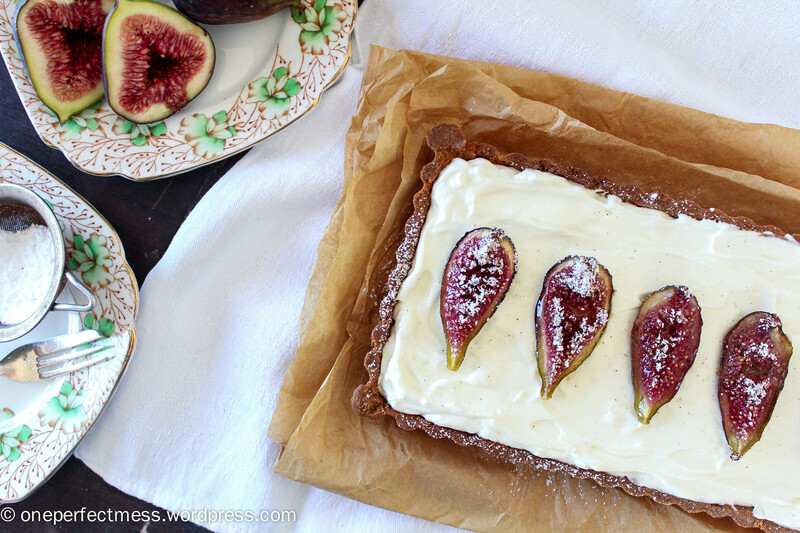 Refrigerate the tart for at least 30 minutes, while you prepare the figs. Preheat the oven to 180°C/375°F fan-forced. 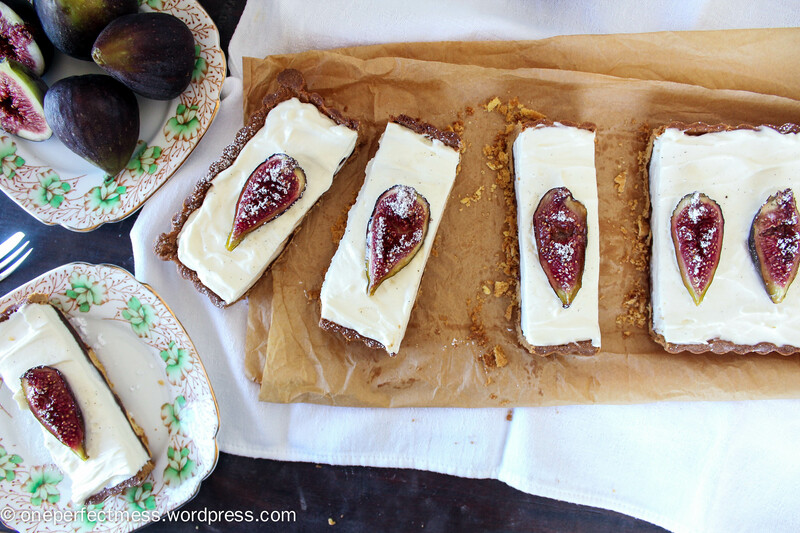 Cut the figs into quarters lengthways, and place them cut-side up on a lined baking tray. Warm the honey until thin and runny, either in the microwave or over low heat in a saucepan. 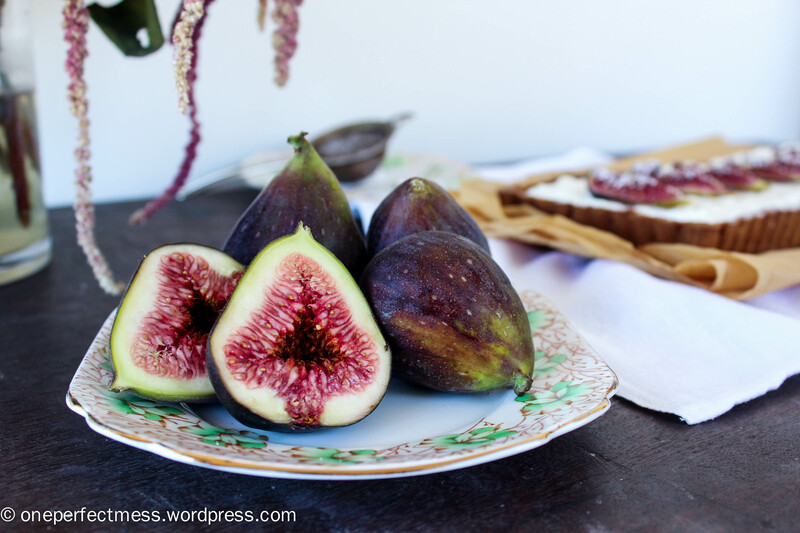 Drizzle each fig generously with the warmed honey, then roast in the hot oven for 15 minutes, until the figs start to look caramelised. 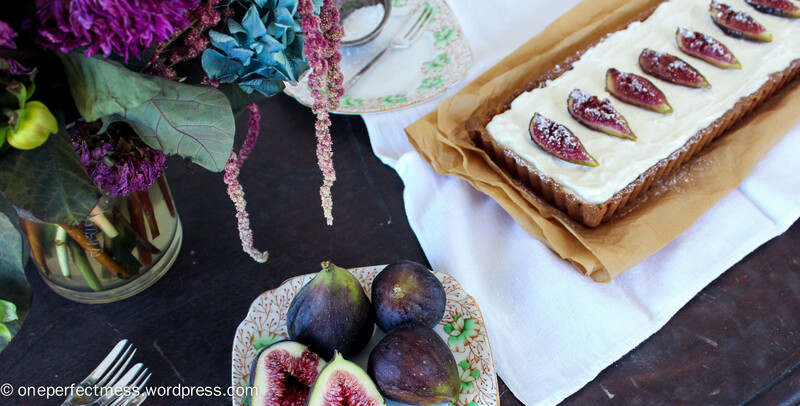 Remove the figs from the oven, and allow to cool for 15 minutes. 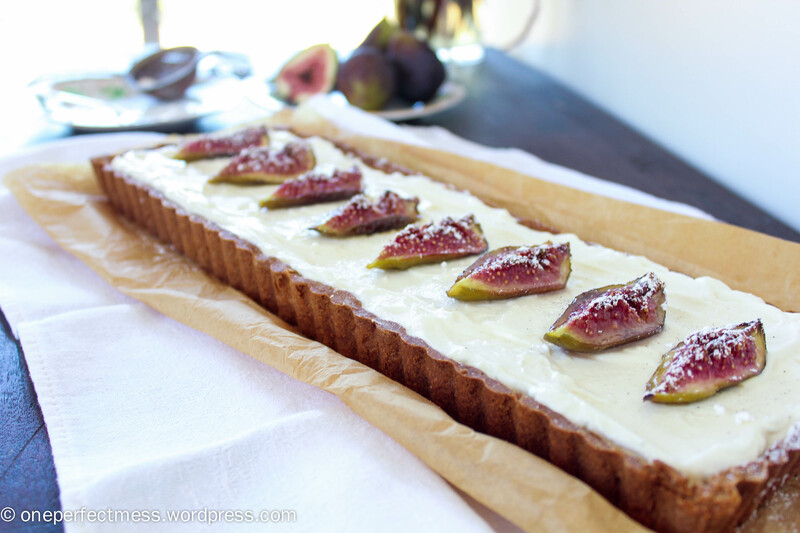 Then, gently press the figs into the mascarpone cream along the length of the tart. Dust the tart generously with icing sugar immediately before serving. Ooooh thanks for all of those suggestions Claire! I hadn’t even considered the savoury route, but there are so many good options. I’m also dreaming of a cheesecake..!